Fixings at the ranch might sound fancy tonight, but truly cowboy caviar is simply black lentils. You can rustle up some tiny black legumes in the bulk section of your nearest co-op or natural food store. The fun of shopping for dried food in bulk is the variety. I’ve seen pink, yellow and black lentils in addition to greenish-brown ones. Start with the steak. Slice it into bite-sized pieces, douse it in flour and fry it in oil along with onions, garlic and a healthy slosh of Worcestershire Sauce. Search your cellar for roots like potatoes, yams, turnips, rutabagas and such to toss in the mix along with the dried lentils. Coat steak slices in flour and fry with onions and garlic in oil. Add Worcestershire Sauce during the frying. Once meat is browned, add water, bullion, vegetables, black lentils and spices. Bring to a gentle boil, simmer for several hours. Serve with a green salad and crusty bread. He always gets me at chocolate. How can we not embrace a day that professes love and chocolate? Dear Ones, I’m speaking of Valentine’s Day. And that’s today, which calls for a chocolate recipe that’s so easy you can love it all the rest of the 394 days in a year! Boil the first three ingredients for 2 minutes. Add cocoa and and oatmeal, mixing well. Add the chips, fruit and vanilla last. Let it sit for about 20 minutes, then drop by the spoonful onto waxed paper. Once solid, store in a bowl and share with the ones you love. Or hide away near your desk. Writing ruled the ranch last November. “Warm Like Melting Ice” developed as a NaNoWriMo project, and I won with a few words over 50,000 by November 30. My daughters were on hand to uncork the champagne to celebrate my second consecutive NaNoWriMo project. The first, “Miracle of Ducks,” is in the revision process and I hope to polish it up for the Great Rejection Rodeo. Actually, I’m excited about the Great Rejection Rodeo. If you’re not getting rejected, you’re not trying to catch the calf. If you’re not getting rejected, you’re not learning to throw a new loop. I know enough about traditional publishing to know that I don’t know much. Sending out my polished manuscript and agent queries will fill in those learning gaps. After a period of rejection and recalibrating, I look forward to victory in publication. Tips for Writers. Writing is a business. Writers are creative, of course, but if you want to write successfully (insert your own definition of success), you need to balance creativity with strategy. Strategy for what? Well, that could be making time to put pencil to paper or developing a plan like the Great Rejection Rodeo. Each Monday, I’ll alternate between tips for creativity and tips for strategies. Review Roundup. Much of my online content writing revolves around reviews of products, media or best practices for businesses and careers. Each Tuesday and Thursday, I will focus on a short introduction with a link to a published review. If you are a newly published author and would like me to review your book, contact me and we’ll negotiate a horse-trade of sorts. 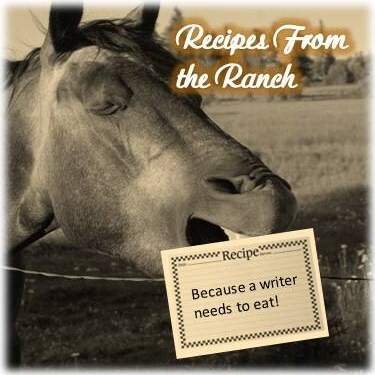 Recipes From the Ranch. A buckaroo’s gotta eat. And around this ranch, she’s also gotta grow the food and cook. On Fridays, I’ll post a seasonal recipe from my very own chuck-wagon, often using ingredients from my organic garden, inspiring you to use seasonally fresh and local food. If you can’t garden, shop the farmers markets or co-ops. If you’d like to follow my creative non-fiction, please join me over on Elmira Pond which is the real-live headquarters for Carrot Ranch Communication where migrating blue herons, mergansers and osprey distract me from writing. Most times, the natural setting inspires reflections and stories, like the time I sat on a bee to pick raspberries. If you are a business, professional or fellow creative looking for some help with a 2014 writing project, give me a holler at the ranch as I am still accepting limited clients for the year. E-mail me: wordsforpeople@gmail.com or call: 208-263-3766. Ask for the lead buckaroo!